by Joseph Mangano and Janette Sherman, M.D. First, estimates of releases have soared. The first reports issued by the Japanese government stated that emissions equaled 10 percent of 1986 Chernobyl emissions. A few weeks later, they doubled that estimate to 20 percent. By October 2011, an article in the journal Nature estimated Fukushima emissions to be more than double that of Chernobyl. How anyone, let alone scientists, could call Fukushima doses “too low” to cause harm in the face of this evidence is astounding. By October 2011, an article in the journal Nature estimated Fukushima emissions to be more than double that of Chernobyl. How anyone, let alone scientists, could call Fukushima doses “too low” to cause harm in the face of this evidence is astounding. Where did the radioactive particles and gases go? Officials from national meteorological agencies in countries like France and Austria followed the plume and made colorful maps available on the internet. Within six days of the meltdowns, the plume had reached the U.S. and, within 18 days, it had circled the Northern Hemisphere. How much radiation entered the U.S. environment? A July 2011 journal article by officials at Pacific Northwest National Lab in Eastern Washington state measured airborne radioactive Xenon-133 up to 40,000 times greater than normal in the weeks following the fallout. Xenon-133 is a gas that travels rapidly and does not enter the body but signals that other, more dangerous types of radioactive chemicals will follow. A February 2012 journal article by the U.S. Geological Survey looked at radioactive Iodine-131 that entered soil from rainfall, and found levels hundreds of times above normal in places like Portland, Ore., Fresno, Calif., and Denver, Colo. The same places also had the highest levels of Cesium-134 and Cesium-137 in the U.S. While elevated radiation levels were found in all parts of the country, it appears that the West Coast and Rocky Mountain states received the greatest amounts of Fukushima fallout. Finally, how many people were harmed by Fukushima in the short term? 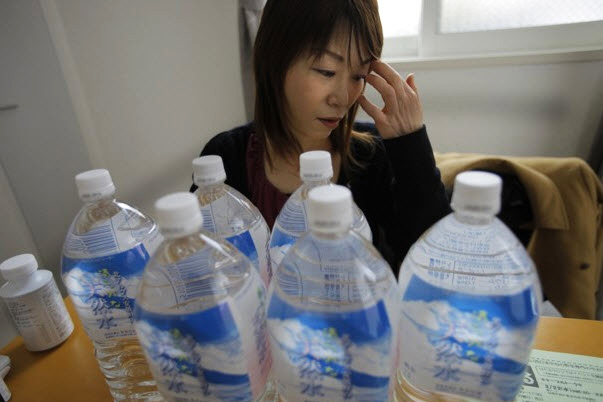 Official studies have chipped away at the oft-repeated claim that nobody died from Fukushima. Last month brought the news that 573 deaths in the area near the stricken reactors were certified by coroners as related to the nuclear crisis, with dozens more deaths to be reviewed. Another survey showed that births near Fukushima declined 25 percent in the three months following the meltdowns. One physician speculated that many women chose to deliver away from Fukushima, but an increase in stillbirths remains as a potential factor. In British Columbia, the number of Sudden Infant Death Syndrome deaths was 10 in the first three months after Fukushima, up from just one a year before. How many people were harmed by Fukushima in the short term? Last month brought the news that 573 deaths in the area near the stricken reactors were certified by coroners as related to the nuclear crisis. On Dec. 19, 2011, we announced the publication of the first peer-reviewed scientific journal article examining potential health risks after Fukushima. In the 14-week period March 20-June 25, 2011, there was an increase in deaths reported to the Centers for Disease Control by 122 U.S. cities. If final statistics – not available until late 2014 – confirm this trend, about 14,000 “excess” deaths occurred among Americans in this period. We made no statement that only Fukushima fallout caused these patterns. But we found some red flags: Infants had the greatest excess – infants are most susceptible to radiation – and a similar increase occurred in the U.S. in the months following Chernobyl. Our study reinforced Fukushima health hazard concerns, and we hope to spur others to engage in research on both short-term and long-term effects. For years, the assumption that low-dose radiation doesn’t harm people has been used, only to fall flat on its face every time. X-rays to abdomens of pregnant women, exposure to atom bomb fallout and exposures to nuclear weapons workers were all once presumed to be harmless due to low dose levels – until scientific studies proved otherwise. 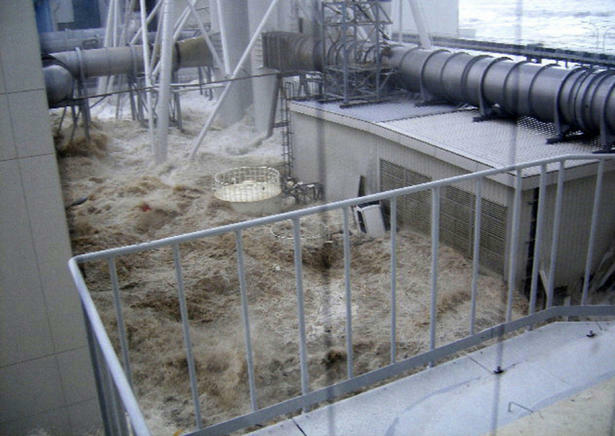 Officials have dropped their assumptions on these types of exposures but continue to claim that Fukushima was harmless. Simply dismissing needed research on Fukushima health consequences because doses are “too low” is irresponsible and contradictory to many scientific studies. Simply dismissing needed research on Fukushima health consequences because doses are “too low” is irresponsible and contradictory to many scientific studies. There will most certainly be a fight over Fukushima health studies, much like there was after Chernobyl and Three Mile Island. However, we hope that the dialogue will be open minded and will use evidence over assumptions, rather than just scoffing at what may well turn out to be the worst nuclear disaster in history. Joseph Mangano is an epidemiologist and executive director of the Radiation and Public Health Project. Janette D. Sherman, M.D., a physician, toxicologist and author, concentrating on chemicals and nuclear radiation that cause cancer and birth defects, is consulting editor for “Chernobyl: Consequences of the Catastrophe for People and Nature,” a comprehensive presentation of all the available information concerning the health and environmental effects of the low dose radioactive contaminants. Originally published by the New York Academy of Sciences in 2009 for $150, she has had it republished for wide distribution at only $10. See http://janettesherman.com/books/. Dr. Sherman has worked in radiation and biologic research at the University of California nuclear facility and at the U.S. Naval Radiological Defense Laboratory at the Hunters Point Shipyard in San Francisco. Her primary interest is the prevention of illness through public education and patient awareness. She can be reached at www.janettesherman.com. This story first appeared on CounterPunch. I liked your article very much but you must not have seen the latest and worst piece of propagada to come out of the Nuclear Industry. Check out the lies in this video. Infopest, did you check your source for this article? It’s the World Nuclear Organization–stating right there in the article that they are representing the NUCLEAR INDUSTRY. Not a fair, unbiased source I would say. In the mean time coal power plants emissions kills thousands of persons every year in the US alone. And that's not even taking into account the impact of GHG for future generations ! It’s Portent that this famously perverse and dishonest race should suffer the wrath of radiation poisoning; have you heard of the war-crimes they committed in WWII in Nanking, China. Or other henious crimes in other parts of East Asia. Or their notorious secret police the Kampeitai. Makes the Gastapo in Nazi Germany look like sunday school teachers.